Are you a member (or thinking about becoming a member) of a professional organization? Attend this YCast to learn practical tips and guidelines to make sure you get the best bang for your membership buck! This presentation will touch on general advice about getting and staying connected with key members of an organization, hacks to learn and use an organization’s best resources and how to use your membership to elevate your professional profile. Anya Zadrozny and Sidney Clewe were the 2019 QRCA Conference Chairs. 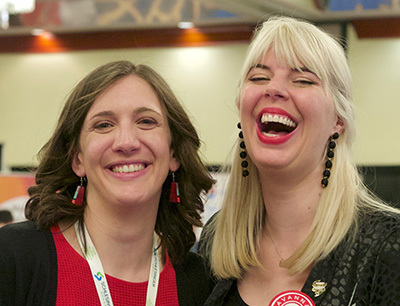 Both Anya and Sidney have been members of QRCA for several years and have found that not only membership in QRCA, but their other professional memberships and affiliations have helped them develop their careers, expand their networks, get business and provide insight and increased clarity into their professional lives.